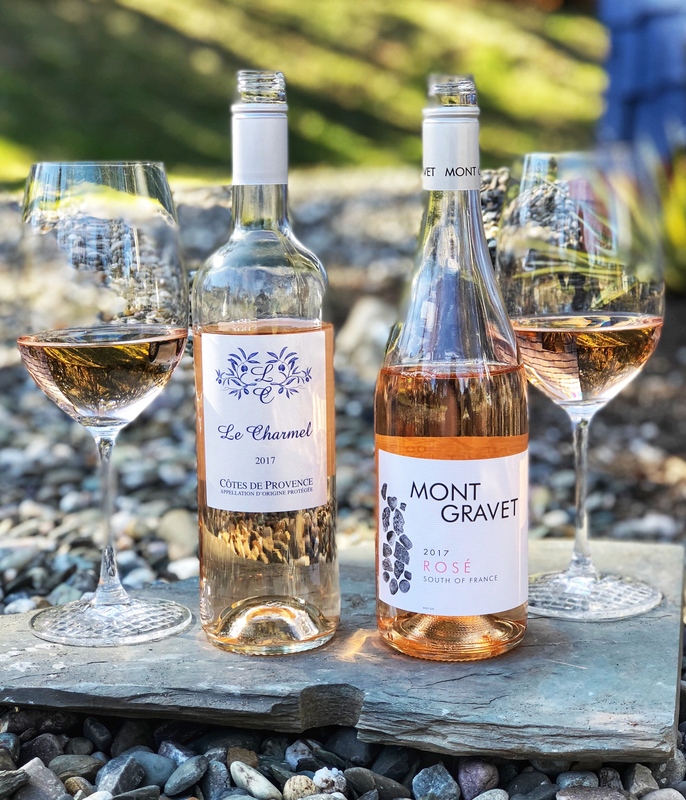 Mont Gravet and Le Charmel are both labels of the pioneering, British husband and wife team of Mel and Janie Master, their son Charlie along with the Sager family, owner of acclaimed family importer of family wineries, Winesellers, LTD. Renowned for bringing great value wines to the US, Mel was responsible for introducing and promoting the wines of Georges Duboeuf in the US. Through the years, the duo has consistently brought fantastic value wines to the US, along with setting up their own wineries [Jordan Winery, Les Jamelles, Tortoise Creek]. Mont Gravet is named in honor of the features of the land the grapes are grown on. From the French word for hill “mont” and “Gravet” the name of the oval shaped rock commonly found in the soil of the Languedoc region. The Le Charmel line of wines are sourced from small, sustainably grown farms throughout France. The line aims to showcase wines that express “typicity of their specific region, and for their outstanding quality and value”. Winemaking: Grapes are from vineyards near the village of Cruzy in the Languedoc region of southern France. The grapes are harvested at night in order to prevent oxidation and to preserve the delicate fruit aromas. Fermented at a low temperature, aged on its lees for at least 2 months with periodic stirring to provide a smooth texture. Tasting Notes: Pale coral in colour with aromas of subtle red berries, minerals and a wisp of fresh Mediterranean herbs. Mineral driven with soft cherry, strawberry and watermelon accented by citrus acidity. Finishing dry and fruity, with a streak of zippy pink grapefruit. Wonderfully gluggable and easy to pair with light summer foods, a great value! Winemaking: Grapes are hand harvested from a hillside, estate vineyard with clay and limestone soil, near Bandol, along the Mediterranean Coast. Fermented and matured on the lees in stainless steel tanks. Tasting Notes: Light coral in colour with aromas of tart red berries, rain washed minerals, citrus zest and soft spice. Strawberry, raspberry, wildflowers and subtle white pepper are accented by citrus acidity. Ginger, citrus zest and a trace of honeysuckle linger on the dry, crisp finish. Easy drinking and super refreshing! Samples submitted for editorial consideration.